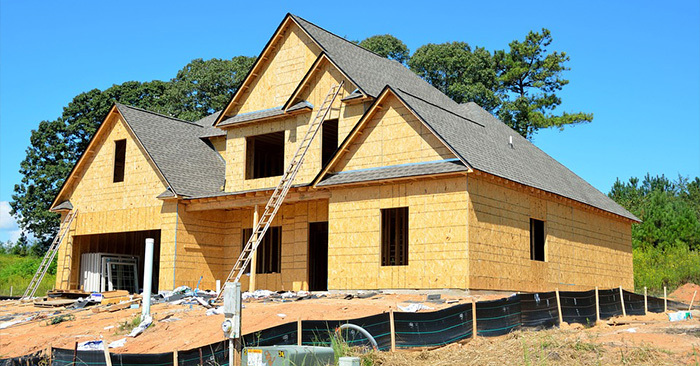 Buying New Construction - Doreen Michel, P.A. If you consider buying a new construction home, there’s a good chance you’ll question whether or not you even need to use a real estate agent. You might even wonder if there’s an advantage to not using a real estate agent…perhaps thinking you can get a lower price, or more upgrades thrown in, if the builder isn’t paying a real estate agent their commission. Or, you just might not give it any thought whatsoever, and stumble into buying your new construction home, without having your own real estate agent to represent you. So, do you need to use a real estate agent when buying new construction? Technically? No. Should you? Yes. One reason people question whether an agent is necessary, is because many tend to see it as an agent just signing some paperwork so they can get a commission. There are certainly agents out there who don’t bring a heck of a lot to the table in terms of expertise and skills. There are ones who literally just want to make sure they are in the room when you do the paperwork, so they can secure their commission. Unfortunately, they give great agents a bad rap. Those are not the type of agents you should hire if you are buying new construction. Or any house for that matter. The purchase of a new construction home really isn’t any different in many ways than purchasing a resale home. The knowledge and skills of a good real estate agent go beyond the “finding” of your home, or doing some paperwork. Not that every builder is evil, and out there trying to take advantage of you. But a builder is certainly going to be looking out for their best interests…not yours. If a builder or their representative pushes you to not use your own real estate agent, that’s a huge red flag. Some may even give you an “incentive” not to use your own real estate agent, and say that they will throw in some free upgrades, or lower the price of the home. A truly reputable builder will not push you to not use your own real estate agent. And they certainly won’t try and lure you with the temptation of free upgrades. Because that’s shady. Look at it like this… Let’s say you were suing someone in court. The person you are suing is a lawyer. The lawyer says to you, “Hey, don’t bother getting your own lawyer. No need really. I know what I’m doing. If you need some thoughts along the way, just ask me what I think you should do. Save yourself the cost of a lawyer, and I promise to take it easy on you in court.” You’d never do that. It makes no sense. The lawyer isn’t going to look out for you more than his own interests. It would be your mistake for trusting that he would. Nobody would think you were all that bright for doing that. Most reputable builders go out of their way to deal with local real estate agents. They expect to deal with a real estate agent. They’ve factored a real estate agent’s commission into the cost of the home. Before you just stroll in to check out a model home, find a real estate agent to represent you. (If you already have one, skip to the next section…) Do not pass Go. Do not collect $200. Interview and choose an agent who will represent you. If you find one that specializes in new construction, that’s a bonus, but don’t expect it or limit yourself to one that does. There’s more resale business than there is new construction in many areas. So a lot of agents aren’t going to be specialists in new construction. And that’s fine. You want someone sharp about the universal stuff, like negotiating, analyzing the deal, understanding the market, and you and your needs. Now you can go check out model homes… But don’t just wander into a development or model home on your own and have a look see. For the first visit, go with your real estate agent. “Register” at the site, and reserve the right to representation by your real estate agent. (If you do not go with your agent on the first visit, it can be a mess trying to involve one afterwards.) While you don’t technically need your own real estate agent, there’s certainly a lot of benefit to having one…and a lot of potential downside to not having one. Search New Construction in the West Palm Beach Area. Search New Construction in the Fort Lauderdale Area.